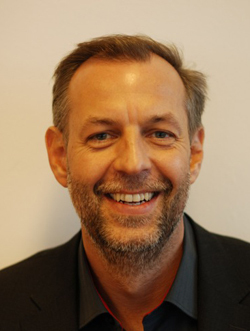 Jean-Philippe Annereau, PhD, is Director of the Alexion Research and Development Center in Paris. He has held the position since the opening of the Center in June 2015. He is responsible for the scientific direction of the Center, and establishing collaborative partnerships with academic research teams in order to better understand rare and devastating diseases and develop life-transforming therapies. Dr. Annereau’s main research expertise is in drug discovery for cystic fibrosis and preclinical pharmacology in experimental oncology, specifically antitumor drug resistance. Prior to joining Alexion, he held positions at the National Cancer Institute and Johns Hopkins University. 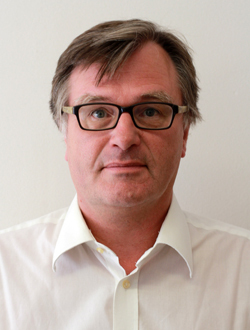 He also has 13 years of research management experience in private pharmaceutical companies, including Pierre Fabre. He holds 4 patents, and has received 3 international scientific awards in cancer and orphan disease therapy. Bernard Barlaam graduated from the Ecole Polytechnique, France. He then completed a PhD under the supervision of Prof. Samir Zard at University Paris XI Orsay and spent a year of post-doctoral research with Prof. Steven Ley at the University of Cambridge. In 1994, he joined Zeneca Pharmaceuticals (now AstraZeneca), working in Inflammation. In 1999-2000, he undertook a secondment in AZ Wilmington (USA), then moved to Oncology. 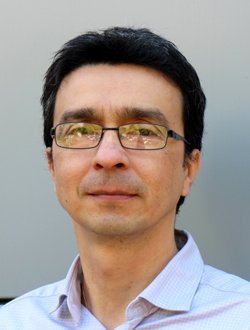 He is currently Associate Director, Medicinal Chemistry, IMED Oncology at AstraZeneca in Cambridge, UK. His responsibilities include leading the Medicinal Chemistry on multiple drug discovery projects including a number of projects targeting kinases as potential cancer therapies. He has been involved in the delivery of several of clinical candidates and is the author/inventor of ca. 70 patents and publications. Prof. Dr. Annette G. Beck-Sickinger University of Leipzig Bioorganic Chemistry and Biochemistry Institute of Biochemistry Education: University of Tübingen (Dipl. Biology, Dipl. Chemistry, Ph. D. Organic Chemistry) ETH Zürich, Univ. Copenhagen (Post Doctorial Studies) Vanderbilt University (Guest professorship) Research Fields: •	structure-activity- relationships of peptide hormones and G protein coupled receptors •	protein modification to study function and interaction A tight connection of chemical methods, bioorganic synthesis and molecular biology tools, including cloning, receptor mutagenesis, protein expression and cell biochemistry is applied. Whereas in the first field, the application goes towards medicinal chemistry, identification of novel targets and novel therapeutic concepts, the second field is related to biomaterials, novel approaches to modify proteins and concepts for improved enzyme catalysis. 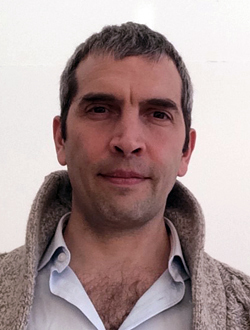 Stefano Crosignani studied Chemistry at the University of Pavia (Italy) and earned a PhD in Organic Chemistry at the University of Southampton (United Kingdom), under the supervision of Dr. Bruno Linclau. In 2003 he joined Serono (later to become Merck-Serono) where he stayed until 2012, working as medicinal chemist and discovery project leader on different target classes (kinases, GPCRs, proteases) implicated in inflammatory and autoimmune diseases. In 2012 he joined iTeos Therapeutics, a Belgian biotech company just starting its operations, as Head of Medicinal Chemistry. iTeos was founded in 2011 as a spin off of the Ludwig Cancer Research (LICR) and of de Duve Institute at University of Louvain (UCL) and is focused on the discovery and development of innovative therapies in cancer immunotherapy. Ben Davis got his B.A. (1993) and D.Phil. (1996) from the University of Oxford. During this time he learnt the beauty of carbohydrate chemistry under the supervision of Professor George Fleet. He then spent 2 years as a postdoctoral fellow in the laboratory of Professor Bryan Jones at the University of Toronto, exploring protein chemistry and biocatalysis. In 1998 he returned to the U.K. to take up a lectureship at the University of Durham. In the autumn of 2001 he moved to the Dyson Perrins Laboratory, University of Oxford and received a fellowship at Pembroke College, Oxford. He was promoted to Full Professor in 2005. 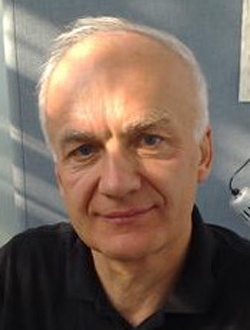 His group's research centres on the chemical understanding and exploitation of biomolecular function (Synthetic Biology, Chemical Biology and Chemical Medicine), with an emphasis on carbohydrates and proteins. In particular, the group's interests encompass synthesis and methodology; target biomolecule synthesis; inhibitor/probe/substrate design; biocatalysis; enzyme & biomolecule mechanism; biosynthetic pathway determination; protein engineering; drug delivery; molecular biology; structural biology; cell biology; glycobiology; molecular imaging and in vivo biology. This work has received the 1999 RSC Meldola medal and prize, the 2001 RSC Carbohydrate Award sponsored by Syngenta, an AstraZeneca Strategic Research Award, a DTI Smart Award, a Mitzutani Foundation for Glycoscience Award, the 2002 Philip Leverhulme Prize, the 2005 Royal Society Mullard Prize and Medal, the RSC 2005 Corday-Morgan Medal, the 2006 International Association for Protein Structure Analysis and Proteomics Young Investigator Award, the 2008 Wain Medal for Chemical Biology, the 2008 American Chemical Society's Horace S. Isbell Award, the 2009 Elsevier Carbohydrate Research Award for Creativity in Carbohydrate Chemistry, the 2009 RSC Norman Heatley Award, a 2009 Royal Society Wolfson Research Merit Award, the 2010 the Society of Synthetic Organic Chemistry, Japan, (SSOCJ) Lectureship Award and in 2012 both the RSC Bio-organic Chemistry Award and the first UK recipient of the Tetrahedron Young Investigator Award for Bioorganic and Medicinal Chemistry. Prof. Benoit Déprez, PhD, MBA Benoit received a degree of pharmaceutical sciences from the Faculty of pharmacy of Lille and a PhD in medicinal chemistry in the Lab of André Tartar at the Institut Pasteur de Lille. 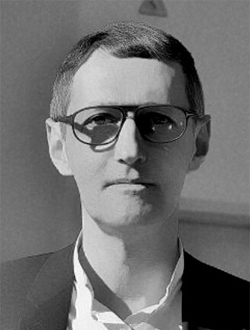 With André, he created the High Throughput Chemistry laboratory of the Institut Pasteur de Lille, which became in 1997 the chemistry department of Cerep. 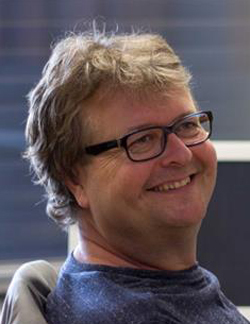 After 3 years spent at Cerep as Head of Chemistry, he moved to Devgen, a Belgian start‐up, where he set up a Drug Discovery unit using C. elegans. 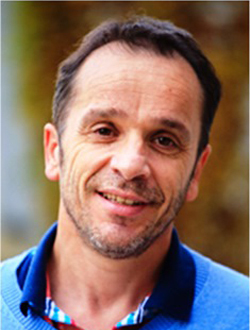 Benoît Deprez is currently Professor at the University of Lille and heads the Drug Discovery Center based at the Institut Pasteur de Lille. His research interests focus on drug discovery and target validation in infectious and metabolic diseases. He is co-founder and scientific advisor of APTEEUS, (awarded in 2016 at the Concours Mondial d’Innovation). He is correspondent member of the Académie Nationale de Pharmacie and author of more than 100 papers and patents. H-factor = 26. Alexander Dömling studied Chemistry & Biology at the Technical University Munich and performed his PhD with Ivar K. Ugi. Then he performed his postdoc in the laboratory of Nobel Laureate Barry Sharpless as a Feodor Lynen fellow of the Humboldt society. 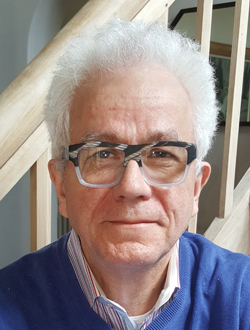 After several years as professor at the University of Pittsburgh he recently became chair and professor of the department of drug design at the University of Groningen. His scientific interest include basics and applications of multicomponent reaction chemistries (MCR). MCR allows for the rapid generation of unprecedented chemical diversity which is tested in the Dömling laboratory for difficult biological targets, such as protein protein interactions (p53-MDM2, PD1-PDL1 etc). He also developed the pharmacophore based web-based platform ANCHOR.QUERY allowing to desktop-screen billions of instant synthesizable MCR molecules. In the context of difficult protein protein interactions his laboratory is developing innovative rapid macrocycle syntheses. He is author of >200 papers and multiple patent applications. Piet Herdewijn (18.09.1954) is professor in Medicinal Chemistry at the University of Leuven, Belgium and Director of the Laboratory for Medicinal Chemistry in the Rega Institute, an interfaculty department of the same University. He owns a Ph.D. thesis on a study of -lactam antibiotics and a Habilitation on the study of anti-HIV nucleosides. He carried out a postdoctoral study on oligonucleotide synthesis at the University of Konstanz, Germany. He published over 650 papers in the field of bioorganic, structural and medicinal chemistry, most of them focussed on nucleoside and oligonucleotide chemistry and their applications. He gave more than 220 invited lectures at universities, industries and conferences. PL14 - Xeno Nucleic Acids (XNA) in vivo : A New Medicinal Chemistry Approach? 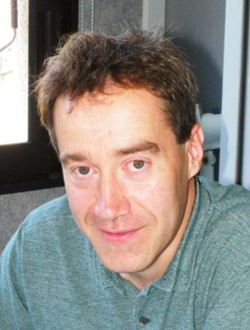 Tad A. Holak has been the group leader of the Biological NMR Structure Group at the Max Planck Institute for Biochemistry, Martinsried (Germany). Since 2012 he is also the head of the Chemical Biology Group at the Jagiellonian University (Krakow, Poland). His research focuses on developing small-molecule probes to study biologic processes that underline growth and proliferation of human cancer cells. The methods used are multi¬nuclear NMR spectroscopy, biochemistry and X-ray crystallography. Dr Ignace Lasters, Chief Technology Officer Ignace Lasters has more than 20 years of experience in the life science industry. He has published over 60 internationally peer-reviewed articles and is named inventor on numerous patent applications. 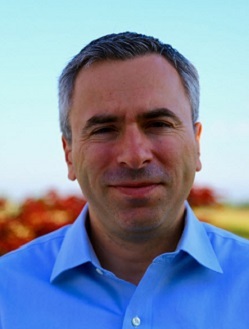 His research experience involves various aspects of biochemistry, physic-chemistry and computer modeling techniques applied to protein engineering and drug discovery. 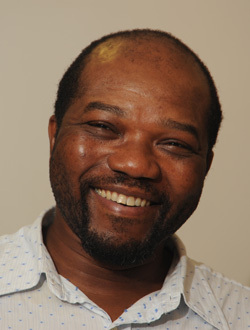 Ignace holds a PhD in Biochemistry from the Free University of Brussels (1980). He joined the biotech industry in 1986, as head of the Computer Modeling Group in the Protein Engineering Division of PGS (now Bayer CropSciences, Ghent, Belgium), where he focused on the development of 3D modeling software to improve the functional properties of industrial enzymes. In 1991 he joined Corvas International (now Dendreon, WA, USA) and headed up a team that discovered novel anti-thrombotics based on inhibitors of enzymes in the blood coagulation cascade. In 1995 he went back to academia and spent two years at the University of Leuven (Belgium), in the laboratory of Professor Desiré Collen, the inventor of t-PA and founder of ThromboGenics. Thereafter, from 1997 onwards he worked as an independent consultant for various companies, including Innogenetics, Keygene and Genscope, focusing on structural bioinformatics, biostatistics and advanced scientific programming applications. In 1999, Ignace co-founded Algonomics, a bioinformatics company dedicated to immunogenicity analysis and antibody engineering, and acted as its CEO/CSO until 2008, when Algonomics was acquired by Lonza. In 2008 Ignace co-founded Complix and became its first CEO. 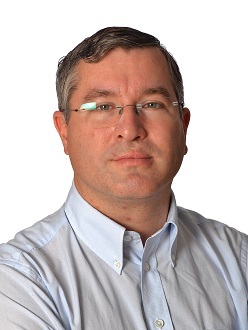 From June 2010 Ignace assumed the roles of CSO and, more recently, CTO at Complix. 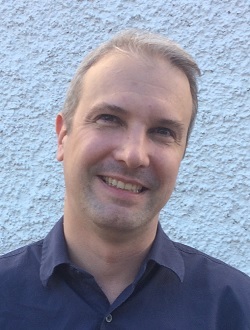 Stefan Laufer PhD, is Full Professor and Chair for Pharmaceutical/Medicinal Chemistry at Tuebingen University. He received his degrees from Regensburg University. After 10 years in Pharmaceutical Industry (Head Drug Research, R&D Director Merckle GmbH) he joined in 1999 Tuebingen University as Chairman Pharm./Med. Chemistry. His research interests are anti-inflammatory and cancer drug discovery with various targets (COX-1,2,3, LOXs, mPGES1, cPLA2, p38, JAKs, JNKs, CK1d, mtEGRFs). Three compounds from his lab entered clinical development phases. 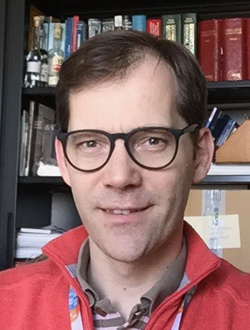 Prof. Laufer chairs the ICEPHA (Interfaculty Center for Pharmacogenomics and Drug Research) and TüCADD, Tuebingen Center for Academic Drug Discovery. He authored more than 365 publications, 14 books/bookchapters and is inventor in 42 patent families. Prof. N.Meyer (MD, PhD) is an onco-dermatologist. He works as the head of skin cancers unit of the Toulouse University Cancer Institute, and conducts research on characterization of melanoma biomarkers, and tumor immune escape. He participated as an investigator in more than 30 clinical trials on skin cancers and currently leads 2 early clinical trials on immune-checkpoints inhibition for the treatment of melanoma or skin epidermoid carcinoma. 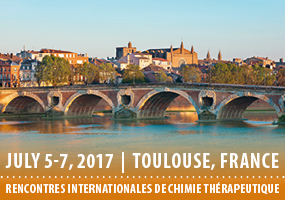 Prof. N. Meyer is part of the Toulouse cancer research center (namely CRCT - centre de recherche en cancérologie de toulouse). 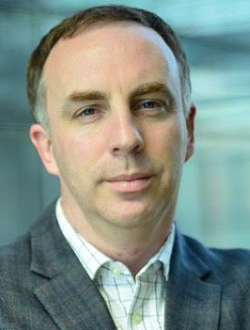 Ronan O’Hagan is Executive Director of Oncology Discovery at Merck Research Laboratories where he leads discovery efforts with a particular emphasis on enabling and enhancing immune-­‐modulatory therapies in cancer. Ronan joined Merck in 2011 to lead Target Identification and Validation for Merck Oncology and built an early discovery pipeline including a mixture of biologics and small molecule programs. Prior to Merck Ronan spent 10 years in biotech working on early target discovery, small molecule and biologics drug discovery, and translational research. During this time he helped to lead 3 programs from project initiation through IND enabling studies and subsequently into clinical development. He did his post-­‐doctoral work at the Dana Farber Cancer Institute with Dr. Ron DePinho, working on the development of mouse models of cancer for use in novel target identification and translational studies. 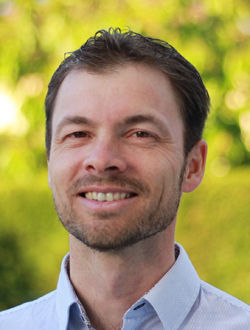 Ronan is currently on the Board of Directors of the Structural Genomics Consortium, and the Scientific Advisory Board for the Chemical Probes Portal. PL03 - Small Molecule Approaches in Immune Modulation in Cancer. 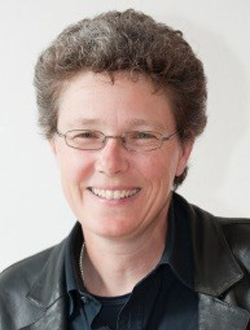 Tanja Schirmeister received her Ph.D. degree in Medicinal Chemistry from Freiburg University in 1993. From 1993 to 1999 she was Assistant Professor at the Institute of Pharmacy of the University of Freiburg. In 2000 she received the position of a full professor at the Institute of Pharmacy and Food Chemistry of the University of Wuerzburg. 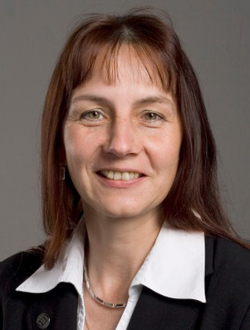 Since 2011 she holds the Chair of Pharmaceutical and Medicinal Chemistry at the Institute of Pharmacy and Biochemistry of the Johannes-Gutenberg University of Mainz. Her research interests include e.g. protease inhibitors, development of new drugs for neglected diseases, peptide chemistry and chemistry of small heterocycles. Gisbert Schneider studied biochemistry and computer science at the Free University of Berlin, Germany, where he received his Ph.D. After several post-doctoral research activities he joined F.Hoffmann-La Roche Pharmaceuticals in Basel, Switzerland, where he headed the cheminformatics group. From 2002-2009 he was full professor of chem- and bioinformatics (Beilstein Endowed Chair) at Goethe-University Frankfurt, Germany. Currently, he is full professor of computer-assisted drug design at ETH Zürich, Switzerland. He is an elected Fellow of the University of Tokyo. Schneider coined the terms “scaffold-hopping” and “frequent hitter”, and has published more than 300 articles and five textbooks on molecular design. His research activities concentrate on method development for virtual screening and de novo drug design. Dr. Hong Shen is Senior Director and the Head of Medicinal Chemistry at Roche Innovation Center Shanghai (RICS). His current research focus is in the areas of infectious diseases, inflammation and immunology. He received his B.S. from Peking University, M.S. from University of Minnesota, and Ph.D. from Stanford University. After almost 10 years at Merck working on cardiovascular and metabolic diseases, he joined RICS in 2012. Dr. Shen has contributed to multiple clinical candidates. He is an adjunct professor of Tianjin University, a Fellow of the Royal Society of Chemistry (FRSC), and a lecturer at Shanghai Jiaotong University and CCDRS, Peking University. He has more than 70 publications and over 45 patent applications. He is a scientific advisor of the ACS Infectious Diseases, Organic Process Research & Development, and the RSC Drug Discovery Book Series. Nicolas Soldermann studied chemistry at Ecole Nationale Superieure de Chimie de Mulhouse where he obtained his Diplôme d’Ingénieur Chimiste de l’Ecole Nationale Supérieure de Chimie de Mulhouse, France, majoring in medicinal and bioorganic chemistry and a Master in Sciences in organic and macromolecular synthesis from the University of Haute-Alsace, France. He then moved in 1998 to Switzerland to the University of Neuchâtel for a PhD in organic chemistry with Prof. R. Neier. In 2002, he moved to Stanford University in the US for a Postdoc with Prof. P.A. Wender. 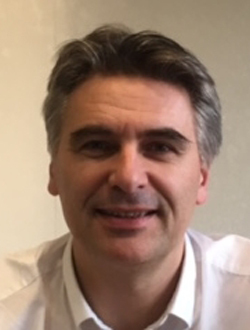 Nicolas joined Novartis in 2003 in the Global Discovery Chemistry department as an investigator in medicinal chemistry and since then worked in Hit-to-Lead and Lead Optimization project for several diseases areas such as neurosciences, autoimmunity & transplantation and oncology. He led several projects from exploratory to late stage lead optimization yielding several clinical compounds including leniolisib currently in phase 2 for APDS. 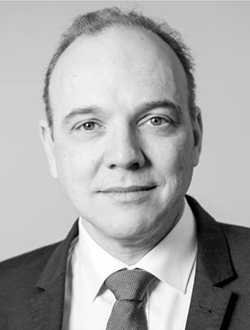 Nicolas spent about 10 years in the autoimmune and Transplantation field and since 2015 he is a Senior Investigator / chemistry group leader in Oncology and Immuno-Oncology. Chair of Biological Chemistry, Technical University Berlin 2009-: Full professor TU Berlin, 2004-2009: Associate Professor (Rudolf-Wiechert-Professorship for Biological Chemistry), 2001-2003: Assistant Professor (Emmy-Noether-Research Fellow (DFG)), University of Tübingen, 2000-2001: Postdoctoral fellow with Richard Lerner & Carlos Barbas, The Scrips Research Institute, La Jolla, CA 1996-1999: PhD in Organic Chemistry, University of Tübingen, Germany, under the guidance of Günther Jung. His research interests comprise the screening and structure elucidation of (antiinfective) peptide natural products of ribosomal (RiPPs) and non-ribosomal origin (NRPs); investigations of biosynthesis mechanisms, medicinal chemistry & pharmacokinetics of peptides, chemical natural product and peptide synthesis; development of new-to-nature-agents against bacteria, fungi, helminths and viruses, combinatorial biosynthesis, synthetic biology of peptide natural products. 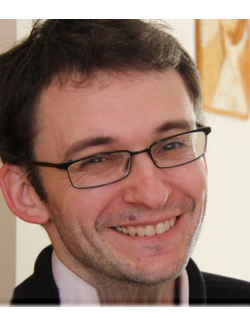 Frédéric Taran is in charge of the department of organic chemistry (50 persons) at the French Alternative Energies and Atomic Energy Commission (CEA) located at Saclay. Dr. Taran secured a PhD in chemistry at the Paris XI University under the supervision of Dr. Charles Mioskowski. In 1996, he moved to a post-doctoral position with Prof. Sir Derek Barton at Texas A&M University (USA) and then came back to CEA in 1998 as permanent researcher. His research aims at developing new reagents for bioorthogonal chemistry to address important problems in the fields of bioconjugation, labelling, imaging and drug delivery. Since joining Evotec in 2002 I have led multiple discovery phase projects including hit expansion, hit to lead and lead optimisation working in collaboration with a range of clients from academia, biotech and large pharma. I have been responsible for leading and coordinating cross-functional activities of drug discovery teams across a range of disease areas including cardiovascular, metabolic, inflammation, anti-bacterials and oncology. Prior to joining Evotec, I gained my PhD in synthetic chemistry from the University of Bath followed by a Royal Society Postdoctoral fellowship at the ETH in Zurich working with Prof D. Seebach. In 1998 I took up a lectureship at the University of Birmingham where I conducted research into synthetic methodology and asymmetric catalysis. In recent years I have developed a strong interest in Innovation and LEAN-Sigma approaches to the development and optimisation of processes and working practices leading to my recent accreditation as a LEAN Sigma Business Green Belt. I have contributed to more than 50 scientific publications and patents. 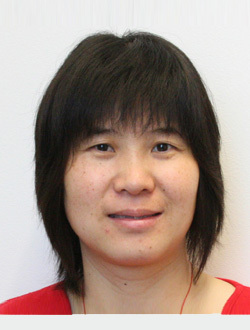 Dr. Xiaodong Wang is the Director of Medicinal Chemistry at the Center for Integrative Chemical Biology and Drug Discovery and a Research Associate Professor in the Division of Chemical Biology and Medicinal Chemistry in the Eshelman School of Pharmacy at University of North Carolina at Chapel Hill. Her research interest has been primarily focused on the discovery of small molecule inhibitors targeting on kinases including Mer receptor tyrosine kinase (RTK), MELK, PIP5K1C, KRAS, and IP kinases. They have also been working on other targets such as IDH1, CIB1, and Myc. She received her PhD from University of Pittsburgh in 2002. She worked at Array BioPharma Inc. at Boulder, CO and Genomic Institute of the Novartis Research Foundation (GNF) at San Diego, CA prior to joining UNC-CH in August 2008. Dr. Eric Doris studied organic chemistry at the University of Strasbourg (France). He obtained his PhD degree in 1995 from the same University, under the guidance of Dr. Charles Mioskowski. In 1996 he completed his post-doctoral training with Sir Derek H. R. Barton at Texas A&M University (USA). Since 1997, he has been working at the Alternative Energies and Atomic Energy Commission of France (CEA) where he is leading the Nanosciences research group. His current research interests include the synthesis of biologically active compounds, supramolecular assemblies on carbon nanotubes, and nanomedicine for drug delivery and imaging applications. Mélanie Etheve-Quelquejeu is professor of chemistry at Paris Descartes University. She leads the group “Synthesis of RNAs, Nucleosides, Peptides and Heterocycles”, in the laboratory “Chimie & Biochimie, Pharmacologiques et toxicologiques”, UMR 8601. She obtained her PhD at the University UPMC, Paris VI, in France in 1997. She conducted postdoctoral studies first at Stanford University in California with Prof. J.P. Collman, and then at Santa Barbara University with Prof. B. Lipshutz. In September 1999, she was appointed Assistant Professor in the Prof. J. M. Valery’s group at the UPMC. She obtained a full Professor position at Paris Descartes University in 2012. She works in the field of nucleosides and nucleotides chemistry, on chemical biology of RNAs, and she developed also projects on synthesis of β-lactams, peptides and heterocycles. 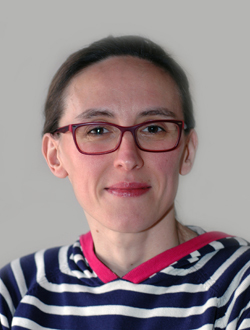 Dr. Christelle Hureau is the head of the “Alzheimer and amyloids” group at the Coordination Chemistry Lab in Toulouse. • She did her PhD in Orsay (France) in the Inorganic Chemistry Lab, on coordination chemistry of Mn-based structural models of the water-oxidizing centre in the Photosystem II and graduated in 2003. Then she made three post-docs at the frontier between chemistry, biochemistry and advanced spectroscopy and electrochemistry. 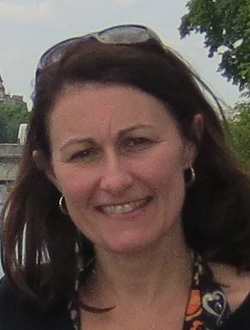 In 2007, she joined the Coordination Chemistry Lab in Toulouse (France) as a tenured CNRS researcher in the Group of Pr. P. Faller. • She is interested in the impact of metallic ions (copper and zinc) in the amyloid cascade liked to Alzheimer’s disease and in new drug candidates targeting copper ions. KL05 - Copper and Zinc as Therapeutic Players in Alzheimer's Disease: With a little Help from Coordination Chemistry. Aurelie carried out her PhD at the CEA (Atomic Energy Commission) in France with Dr Charles Mioskowski and Dr Thierry Le Gall, working on natural product synthesis. 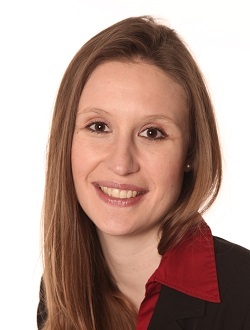 In 2009, Aurelie received a fellowship from the French Cancer Research Association “ACR” to complete a one year post-doc at the University of Oxford with Prof Jeremy Roberston working on the total synthesis of Taurospongin A. In 2010, Aurelie joined the Institute of Cancer Research (ICR) in London. She is a lead medicinal chemist working on multidisciplinary drug discovery projects for the treatment of cancer. 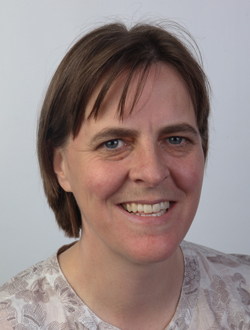 Her major contribution includes the discovery of small molecule inhibitors of Wnt signalling in close collaboration with Merck KGaA, Germany and Cardiff University. I have studied biochemistry and Organic chemistry at Paul Sabatier University in Toulouse (France) where I earned his PhD in Biomolecular Chemistry and Applications under the supervisions of Dr Liliane Gorrichon and Dr Michel Baltas. I spent three years as a Visiting Fellow in Laboratory of Medicinal Chemistry at the National Cancer Institute (National Institutes of Health), then I moved to Georgetown University as a Faculty. In 2001, I joined Albany Molecular Research Inc. then since 2009, I am holding a Group Leader position at the Experimental Therapeutics Centre, a research institute of the Agency for Science, Technology and Research (A*STAR) in Singapore. My research interests are primarily in drug discovery encompassing the fields of cancer, inflammation, neuroscience and infectious diseases. I have designed and synthesized allosteric modulators of PKC, disruptors of protein-protein interaction for bcl2, kinase inhibitors against HER2, MKK2, IKK2, Mnk1/2 and Bcr-Abl and triple re-uptake inhibitors of dopamine, serotonin and norepinephrine. I have contributed to the development of several preclinical development and three clinical trial candidates. 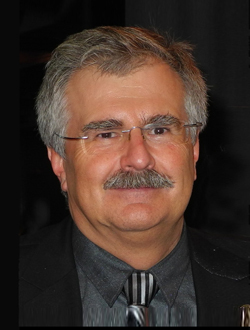 Dr. Vincent Rodeschini obtained his Ph.D. from the University of Haute Alsace (2004: Prof J. Eustache), where he worked on the synthesis of analogs of natural product Fumagillin as angiogenesis inhibitors. He then moved to Nottingham, UK, for a postdoctoral position in the laboratory of Pr. N. Simpkins (Marie Curie fellowship). 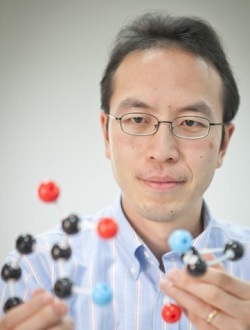 There he works on the field of chiral base driven deprotonation and natural product synthesis (Garsubellin). Following a first position at Novexel in the field of antibiotics, he joined Edelris in 2007, where he is currently senior project leader, working on a large panel of chemistry and medicinal chemistry projects. He has acquired a broad expertise in synthetic and medicinal chemistry as well as in structure based drug discovery.